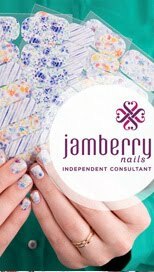 Thanks for the kind words and support on my last post (about launching our business)! Today I wanted to share with you some ways that I prep ahead of time to make healthy eating easy and convenient. 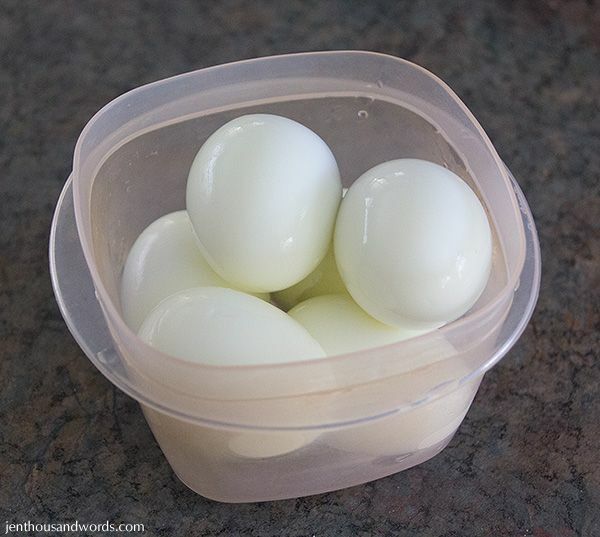 I boil and peel a few eggs and store them in the fridge in a sealed container. I just bring water to the boil, add the eggs and boil for 9 minutes, then tip out the hot water, shake and bounce the pan to crack the eggs and add cold water. This allows the cold water to get inside the shells, cooling the eggs more quickly and making them easy to peel. To ensure the shell comes off well I add half a teaspoon of baking soda to the water when boiling. The eggs are great to grab for a snack, add to a lunch salad, slice onto toast for breakfast, or chop and mix with mayo for a sandwich filling. 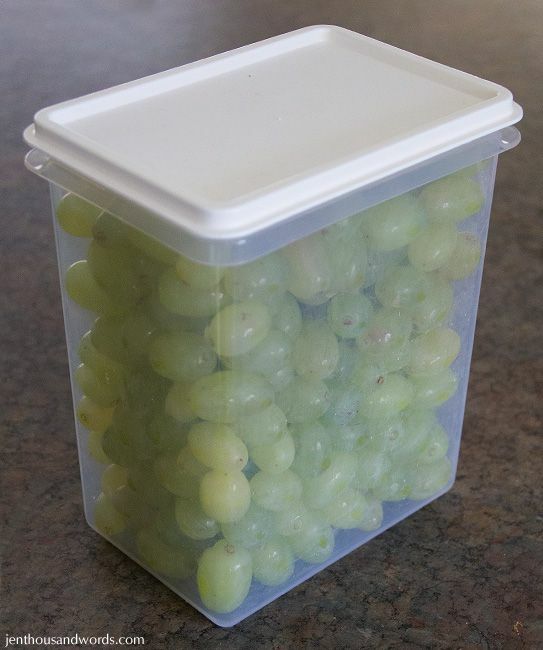 I pull grapes off of the stems, put them into a colander and rinse them, then roll them around in a tea towel to dry them somewhat, before storing in a container in the fridge. They're great to add to salads, or grab for a sweet snack. 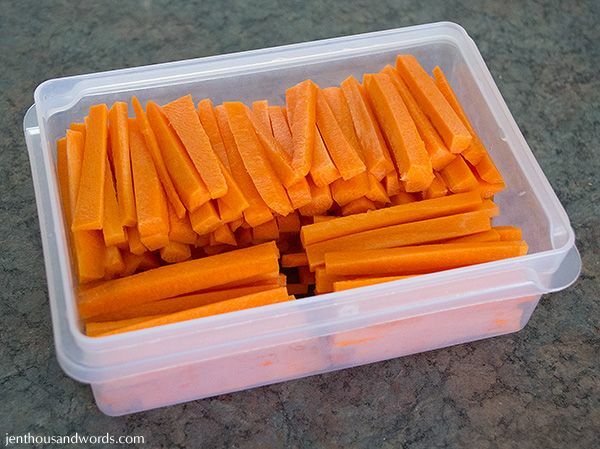 Peeling and slicing carrots doesn't take a lot of time and it makes it so easy to add veges to your diet. They can be eaten raw, added to salads, steamed to serve with dinner, or eaten raw with dip for a healthy snack. Here is the dip I make for the carrot sticks. It's low fat cream cheese with a packet of onion soup mix stirred in, loosened with a little milk. It is so yummy and adds a little protein to my snack. It's also tasty on crackers or in a sandwich (just a thin layer as it's can be strongly flavoured). While healthier for you, brown rice does take longer to cook than white. 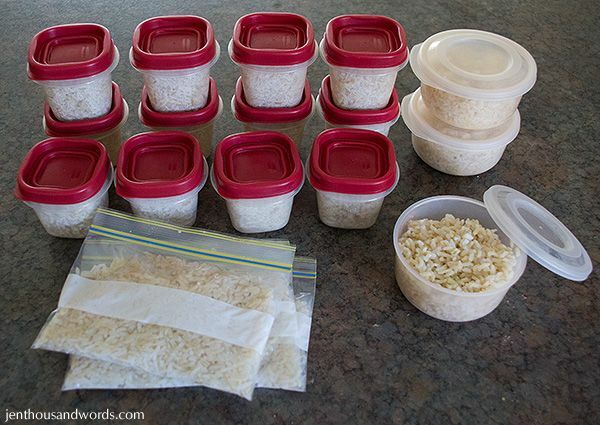 I like to cook up a big batch, drain and rinse it, then freeze in little containers or ziplock bags. It defrosts quickly and is handy to have on hand to be able to quickly whip up fried rice (with veges and meat), serve with sauce-based dishes (like curry), or to make rice salad. Grant and I are mad about broccoli like this. I cut two heads of broccoli into small pieces and add it to boiling water, letting it simmer for 4-6 minutes. Then I use a slotted spoon to scoop it out onto a clean tea towel on the counter. 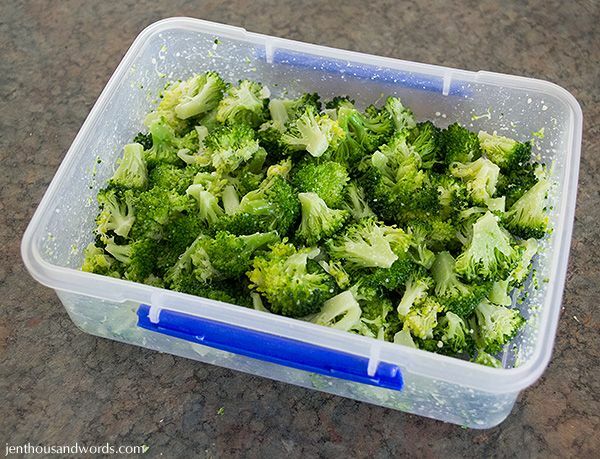 This lets the steam evaporate off of the broccoli so it doesn't go soggy. 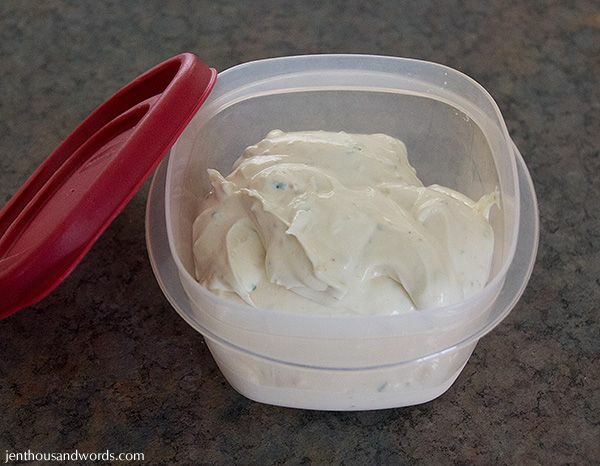 Once it's dry I put it into a container, add a little olive oil and a sprinkling of parmesan cheese, and shake to toss. We like it in salads, on its own, warmed to have with dinner, or added to omelets. 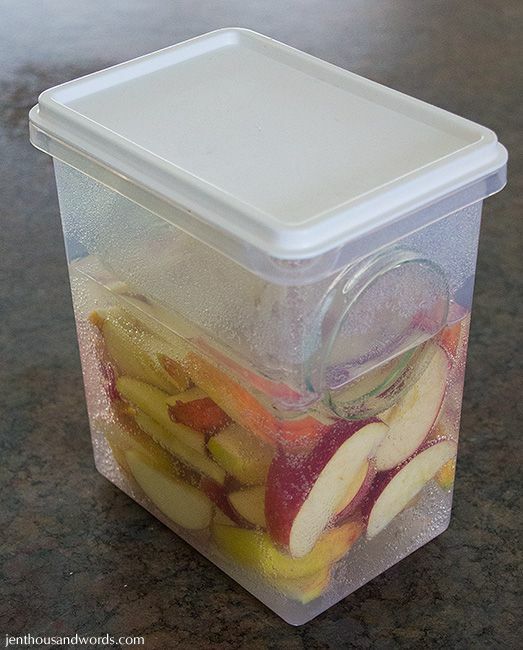 If you or your kids like to take apple slices on the go it helps to soak them in Sprite. The citric acid prevents the slices from browning. I've added a glass jar to the container to keep the apple slices submerged. They don't last for days on end, but a few hours of soaking means you can package the slices for lunch and they'll keep. Also a handy trick if you want to serve apple slices and dip at a party. Noah and I enjoy this apple dip. 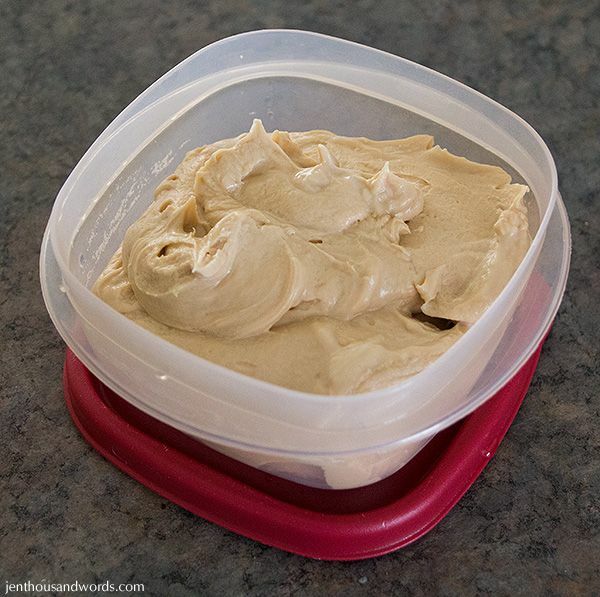 It's low fat cream cheese, peanut butter, a little cinnamon and / or vanilla, and sweetened with either icing sugar or maple syrup. I don't eat it often as I am avoiding sugar, but it's a low-guilt, high-protein treat if you don't put too much sweetener in. I hope that gives you a few ideas. 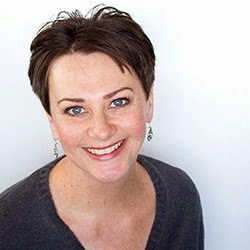 I know that eating healthy, fresh foods can be less convenient than packaged snacks, so taking a little time to prep ahead eliminates the inconvenience and makes it easy to improve your diet.